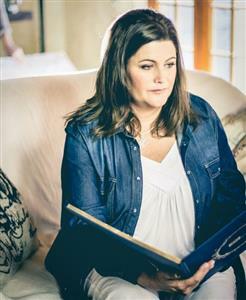 In December 1994, two men raped, stabbed and disemboweled Alison Botha after they abducted her from outside her home in Port Elizabeth. Against all odds, she defied death – and Botha also denied her attackers the satisfaction of destroying her life. Her book, I Have Life, published by Penguin SA in 1998, has remained on the Penguin SA bestsellers list and has been translated into seven different languages. Botha was also the first-ever South African to publicly speak out about being raped, and has become a sought-after motivational speaker, sharing her tale of courage and resilience with audiences around the world. Now, the much-anticipated hybrid feature documentary, Alison, comes to the big screen on Friday, 12 August 2016. Alison is a triumphant, deeply personal film with contemporary, real-life fairytale undertones. This is her tale about being her own hero, on her terms - fairy gardens and all. It’s a story about how trauma is ongoing, forever lurking in the shadows, ready to show itself at any given moment and devour you all over again, and one woman’s fight to keep it at bay. It’s a tale of monsters, miracles and hope and chronicles how Botha’s life has unfolded in the 20 years since the attack. An innovative make-a-difference outreach campaign, The Safe Room, is planned to coincide with the life of the film. “It’s a big moment when you share something that you really believe in with others – a little nervous at what their reaction will be. And that moment becomes significant and pivotal when they choose to believe in it too,” says Botha. The film will feature many real-life heroes from that night, as well as the acting talents of Christia Visser, Zak Hendrikz, De Klerk Oelofse and Francois Maree. Directed by Uga Carlini from Towerkop Creations and made in association with kykNET Films, the Department of Trade and Industry, the National Film and Video Foundation and Waterfront Film Studios. Alison is distributed by Black Sheep Films. Locally, Alison has also been selected for Encounters Film festival (Thursday, 2 to Sunday, 12 June) and the Durban International Film festival (Thursday, 16 to Sunday, 26 June). Click here to watch the trailer of Alison. For more information, visit alisonthemovie.com or email [email protected]. Alternatively, connect with them on Facebook, Twitter or on Instagram.